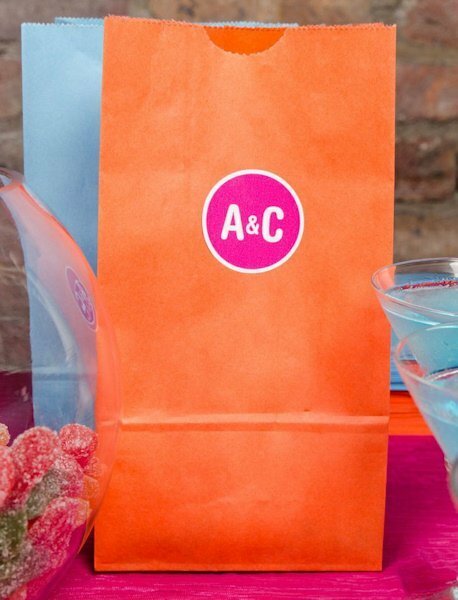 Our multi-purpose goodie bags are the perfect choice for packaging your special event treats! 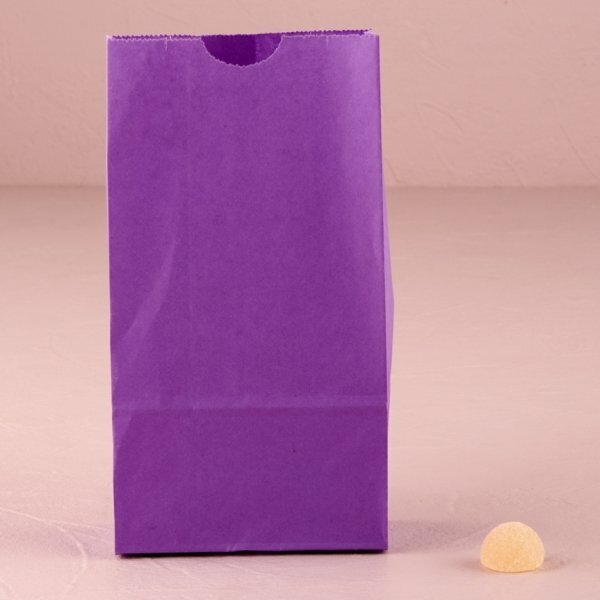 Place a favor inside, or fill with delicious chocolates and candies for a wonderful take-home gift. 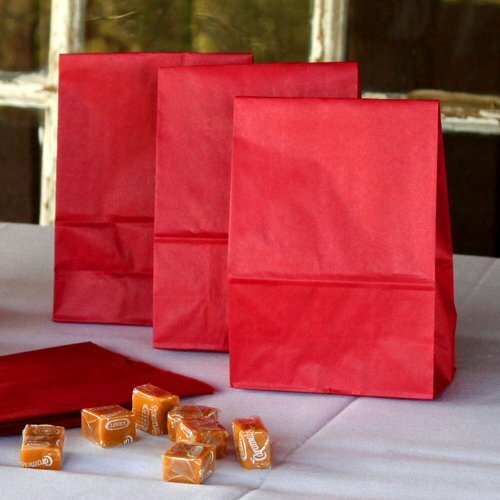 A popular trend right now is setting out bowls of candies and letting your guests fill their own bags! 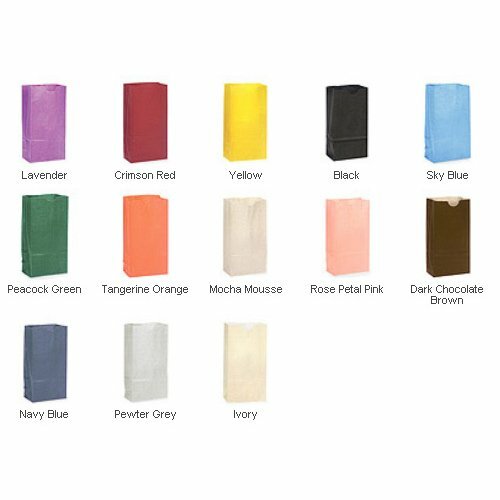 When opened, the Standing Paper Goodie Bags have a flat bottom which allows them to stand on their own. 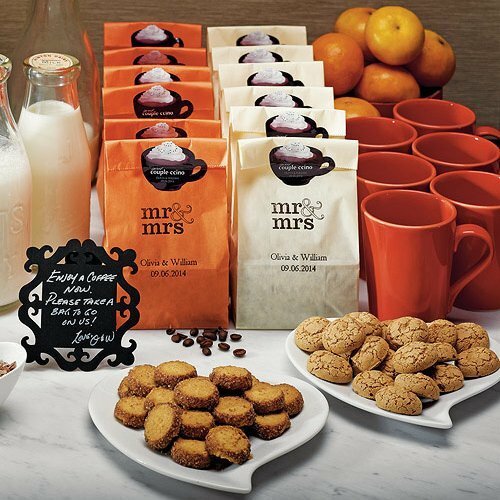 They look great sitting at each table setting. 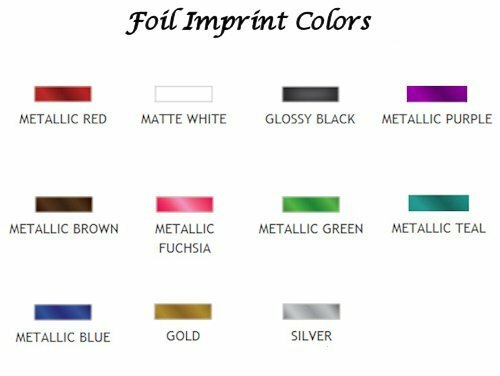 We have a variety of colors to match your theme and also offer optional personalization that allows you to choose from one of our many designs along with text to make them your own! 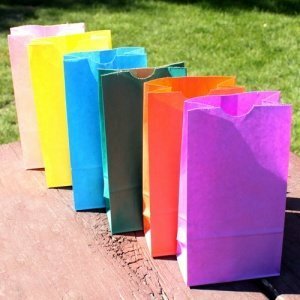 Bags measure 4 1/4" x 2 3/8" x 8 3/16" and are sold in sets of 25 bags (minimum of 2 sets required).Personalized Sweet "Couple-ccino" Shaped Sticker (item #8810) and Love Birds Stickers (item #1032-16) are sold separately.